With decades of experience educating public servants, the School’s alumni have progressed into diverse positions in the federal government, provincial governments, consulting and beyond. We celebrate our alumni through the Bissett Alumni Award, named in recognition of the contributions to public service of an alumnus of the School of Public Policy and Administration, James (Joe) Bissett. In 1956, Mr. Bissett became one of the first students to graduate from Carleton with a Master of Arts in Public Administration. Joining our earlier graduates from the Diploma in Public Administration, he became part of tradition of dedicated public service that is continued by more than 3000 alumni. 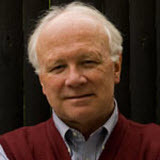 James Bissett has had a long and distinguished career in public service in both the Canadian and International contexts, thereby reflecting both the Canadian and International dimensions of our program. 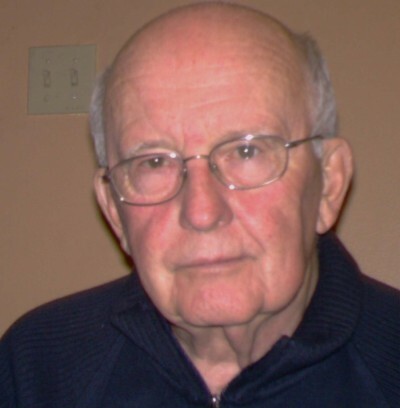 Mr. Bissett spent 36 years as a public servant in the Department of Citizenship and immigration and Foreign Affairs. He was appointed head of the Immigration Foreign Service in 1974 and became Assistant Under-Secretary of State for Social Affairs in 1980. In the 1970s he served at the Canadian High Commission in London England and later as Canadian High Commissioner to Trinidad and Tobago. He returned to Canada in the 1980s where he helped to steer new immigration and refugee legislation through Parliament. In 1990 he was appointed Canadian Ambassador to Yugoslavia, Bulgaria and Albania. After leaving the Foreign Service, he accepted a position in Moscow as the head of an International organization helping the Russian Federation establish a new Immigration Ministry and designing and implementing settlement programs. He returned from Moscow in 1997 and is enjoying retirement in Ottawa by continuing to be active as a writer and commentator on public affairs. The recipient of the 2018 Bissett Distinguished Alumni Award is George Zegarac. 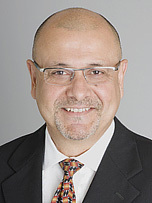 George Zegarac was appointed Deputy Minister of Infrastructure in June of 2016. He brings a wealth of experience with the federal and provincial governments to his current role, having spent most of his 30-year career serving the province. George has served as Deputy Minister of Education, Deputy Minister of Children and Youth Services, and Deputy Minister of Agriculture, Food and Rural Affairs (OMAFRA). Before joining OMAFRA, George was the Assistant Deputy Minister for the Strategic Planning and Elementary/Secondary Programs Division of the Ministry of Education, as well as for the Community Health and Integrated Policy and Planning Divisions in the Ministry of Health and Long-Term Care. In 2006, he was the recipient of two Amethyst Awards for his role in major health care initiatives. George has completed the federal government’s Advanced Leadership Program. He is a graduate of the Ivey Executive Program, holds a master of arts in public administration from Carleton University and has an honours bachelor degree in economics and political science from McMaster University. The recipient of the 2017 Bissett Distinguished Alumni Award is Christine Hogan. Christine Hogan began her term as Executive Director for Canada, Ireland and the Caribbean at the World Bank Group in November 2016. Immediately prior to joining the World Bank Group, Ms. Hogan served as Deputy Minister for International Trade. Prior to this position, Christine was the Foreign and Defence Policy Advisor to the Prime Minister of Canada in the Privy Council Office. Throughout her career which began in 1988, Ms. Hogan has contributed to a diverse set of public policy issues ranging from international relations and development to trade policy to science and technology, and environment and energy. She has held positions in the Government of Canada including: Director of International Affairs at Environment Canada, Chief of Staff to the Deputy Minister of Environment, Senior Advisor on Science and Technology at Industry Canada, Director of Operations and Assistant Secretary to the Cabinet in the Privy Council Office, and Vice President of Strategic Policy and Performance at the Canadian International Development Agency (now Global Affairs Canada) where she led work on aid effectiveness and championed maternal, newborn and child health in the context of the 2010 G8 Summit. Ms. Hogan has also been a visiting executive with a major oil and gas company, EnCana Corporation, and an Adviser to the Executive Director of the United Nations Environment Programme (UNEP) in Nairobi, Kenya. She holds a Bachelor of Public Administration (Honours) from Carleton University and is a Yale University World Fellow. The recipient of the 2015 Bissett Distinguished Alumni Award is Yaprak Baltacıoğlu. Yaprak Baltacıoğlu was appointed as Secretary of the Treasury Board on November 12, 2012. Mrs. Baltacıoğlu served as Deputy Minister of Transport, Infrastructure and Communities between July 2009 and November 2012 and as Deputy Minister of Agriculture and Agri Food Canada from March 2007 to June 2009. She spent over four years at the Privy Council Office, first as Assistant Secretary to the Cabinet (Social Development Policy) and then as Deputy Secretary to the Cabinet (Operations). In these roles, she provided advice and support to the Prime Minister and Cabinet on the full range of government operations and domestic policy issues. Mrs. Baltacıoğlu has occupied a number of positions in Agriculture and Agri Food Canada, culminating in the position of Assistant Deputy Minister of Policy. In this capacity, she was instrumental in the successful negotiation of the federal Agricultural Policy Framework. 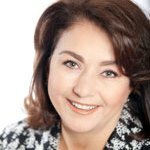 Since joining the public service in 1989, Mrs. Baltacıoğlu has also worked at the Public Service Commission of Canada and Environment Canada, the latter as both Director General for Strategic Policy and International Relations. Mrs. Baltacıoğlu graduated from Carleton University’s School of Public Administration, where she received a Master of Arts, as well as from Istanbul University, where she obtained a Bachelor of Law degree. Mrs. Baltacıoğlu and her husband, Rob Fonberg, have three wonderful adult children and a lovely daughter-in-law. (Ottawa) The recipient of the 2014 Bissett Distinguished Alumni Award is Steve Desroches. Councillor Desroches has been a devoted public servant in the Government of Canada, serving in a number of departments including the Privy Council Office, Elections Canada, Canadian Food Inspection Agency and Agriculture and Agi-Food Canada. He has contributed his service as an elected councillor, including his current role as Deputy Mayor of the City of Ottawa. The importance of municipal government is sometimes overlooked, but in a city as large as Ottawa, it is a sophisticated, complex operation with a connection to the public that creates a distinctive dynamic. Steve has not only served with great dedication and integrity but has demonstrated the qualities of leadership that set our graduates apart. A long-time community volunteer, Steve served as Executive Vice President of the Riverside South Community Association during the years of his career in the federal public service. He was first elected as City Councillor for the Gloucester-South Nepean ward, one of the fastest growing in the City, in 2006, and has been a strong proponent for developing adequate infrastructure in such a fast growing community. His service has gone well beyond the needs of his own ward, however, as he has been a strong supporter of city-wide issues – promoting economic development and tourism, advocating for the needs of the homeless and at-risk veterans, and promoting a partnership project to plant more than 11,000 trees through the city. Steve has stayed connected to the School, willingly speaking to classes and helping us think through how we build in the area of municipal government. In recognition of his consistent and creative leadership in public service, including his integrity in elected office, the School is pleased to present the 2014 Bissett Distinguished Alumni Award to Steve Desroches. 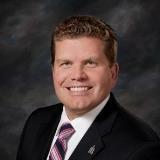 (Ottawa) The recipient of the 2013 Bissett Distinguished Alumni Award is Sean Moore. Graduating from the DPA in 1976, Sean’s distinctive contribution has been to enhance the quality and openness of public policy advocacy. Although not a lawyer, he has become an authority in this country on the laws as well as the rules and customs of lobbying and advocacy and the evolution of the ways in which private and public interests interact – and compete – to shape public policy. He began by doing advocacy, first as a consultant in one of Canada’s first government-relations firms, ultimately serving as president of what was then Canada’s largest government-relations consulting company, and working as a Washington, DC-based government-relations advisor on state and federal issues in the US. In 1989, the same year as the federal lobby registry was established, Sean co-founded and co-edited (with John Chenier, another SPPA grad) The Lobby Monitor to track and assess lobbying activity. The Lobby Monitor continues today, owned by the Hill Times. Sean then spent 12 years as Public-Policy Advisor and Partner at the national law firm of Gowling Lafleur Henderson LLP. During that time, Sean always made time, usually pro bono, to assist nonprofits in their advocacy work. He has served as a member of the advisory board of Media Magazine – a publication of the Canadian Association of Journalists – and was a member of the board of directors of the Vancouver-based NGO, IMPACS – Institute for Media, Policy and Civil Society. After “semi-retiring” from Gowlings – and I would stress only semi – Sean founded the Advocacy School in 2011. The Advocacy School provides professional development training, mentoring and coaching in public-policy advocacy to NGOs, professional and trade associations, charities and private companies. He continues as an active policy advisor and mentor to the nonprofit sector, having worked (often more accurately volunteered) with the Maytree Foundation, the McConnell Foundation and its Social Innovation Generation initiative, among many others. Sean’s workshop on “do-it-yourself” public-policy is exceptionally good advice for how to be a constructive participant in public policy. (Ottawa) – Carleton University’s School of Public Policy and Administration (SPPA) is pleased to announce that Ambassador Judith LaRocque is this year’s recipient of its alumni award for distinctive contributions to the public sector. This award is named after James (Joe) Bissett who, in 1956, became one of the first students to graduate from Carleton University with a master of arts in public administration. He went on to a long and distinguished career in public service in both Canadian and international contexts. Ms. LaRocque has broad and varied experience in government. She started her career in 1979 with the Public Service Commission of Canada, and worked as a procedural officer at the House of Commons from 1982 to 1984. She has occupied the position of executive assistant to the Minister of Justice and Attorney General of Canada and chief of staff to the Government Leader in the Senate and the Minister of State for Federal-Provincial Relations. From 1990 to March 2000 she was named Secretary to the Governor General serving three consecutive Governors General. Ms. LaRocque became Associate Deputy Minister of the Department of Canadian Heritage in 2000 and was appointed Deputy Minister of Canadian Heritage in 2002. Canadian Heritage is the department of the Government of Canada with responsibility for policies and programs regarding the arts, cultural industries, media, communications networks, intellectual property, official languages, status of women, sports and heritage. Ms. LaRocque is presently serving as Canada’s Ambassador and Permanent Representative to the Organization for Economic Development and Cooperation in Paris, France. Ms. LaRocque received a Master of Arts in Public Administration and an Honours B.A. in Political Science from Carleton University. The Clerk of the Privy Council recognized Ms. LaRocque with the 2010 Public Service Award of Excellence for her outstanding contribution and personal commitment to public service, and for the coordination of the government’s efforts for the 2010 Olympic and Paralympic Games in Vancouver. (Ottawa) – Carleton University’s School of Public Policy and Administration (SPPA) is pleased to announce that Honorable Saäd Rafi is this year’s recipient of its alumni award for distinctive contributions to the public sector. Saäd Rafi was appointed Deputy Minister of the Ministry of Health and Long-Term Care, effective Feb. 16, 2010. Most recently, Mr. Rafi was Deputy Minister of the Ministry of Energy and Infrastructure. 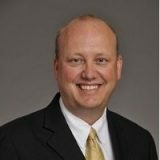 Previously, he was National Infrastructure Advisory and Project Finance Practice Leader at Deloitte & Touche LLP. Mr. Rafi formerly served the Ontario Government as the Deputy Minister of Transportation and the Deputy Minister of Community Safety. He was seconded to the Ontario SuperBuild Corporation, Ministry of Finance, as Vice President, Public/Private Partnerships. He has held a number of senior management positions in the Ministry of Transportation, Cabinet Office, and the Ministry of Economic Development, Trade and Tourism. 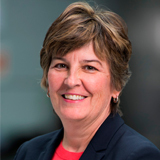 (Ottawa) – Carleton University’s School of Public Policy and Administration (SPPA) is pleased to announce that Honorable Karen Shepherd is this year’s recipient of its alumni award for distinctive contributions to the public sector. Karen Shepherd was appointed by both houses of Parliament under the Lobbying Act (the Act) as Commissioner of Lobbying on June 30, 2009 for a seven-year term. As an independent Agent of Parliament, Commissioner Shepherd is responsible for administering and enforcing the Act. The Commissioner’s mandate is to maintain a registry of lobbyists to increase the transparency of lobbying activities, foster greater awareness of the Act through education and outreach, and enforce compliance with the Act and the Lobbyists’ Code of Conduct . 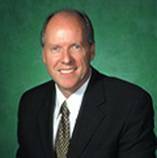 Commissioner Shepherd holds a Master’s degree in Public Administration (MPA) from Carleton University and a Baccalaureate of Arts (B.A.) from Concordia University. She has more than twenty years experience in the federal public service, where she has gained extensive administrative, policy and leadership experience. Prior to working in the area of lobbying, Commissioner Shepherd held a number of positions in the Industry Sector of Industry Canada, a sector primarily responsible for the development of programs, policies, strategies and services aimed at helping Canadian businesses and industries expand, compete, create and retain highly qualified jobs. One of the key positions she held was Director of Aerospace where she led a team tasked with the promotion of international competitiveness and sustainable growth in the Canadian aerospace sector. 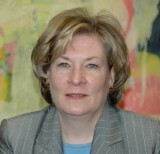 Before joining Industry Canada in 1996, Commissioner Shepherd served in several positions with Revenue Canada, the Office of the Auditor General, the Department of Energy, Mines and Resources, and with Employment and Immigration Canada, gaining significant experience in human resources, policy and program management. (Ottawa) – Carleton University’s School of Public Policy and Administration (SPPA) is pleased to announce that Ann Dale is this year’s recipient of its alumni award for distinctive contributions to the public sector. Dr. Dale is Canada research chair in sustainable community development and professor of environment and sustainability at Royal Roads University. She graduated from Carleton with a masters degree in public administration (directed studies in environmental policy) in 1994 and a BA (psychology) in 1973. She was president of the Carleton University Students’ Association from 1972 to ‘73. Dr. Dale has spent over three decades exploring the complexities of sustainable community development. Her book, At the Edge: Sustainable Development in the 21st Century, received the 2001 Policy Research Initiative Award for outstanding research contribution to public policy. Her latest publication for UBC Press, A Dynamic Balance: Social Capital and Sustainable Community Development, co-edited by Jenny Onyx, provides a compendium of academic research in sustainability and explores the concept of social capital as an important sustainability resource. Dr. Dale has contributed to several critical policy issues affecting Canadian society. She was considered a leader in the implementation of the Government’s Regulatory Agenda Program in the 1980s and the streamlining of reporting requirements for industry. While at the Privy Council Office, she developed a strategy to help revitalize senior management. In 1987, she was instrumental in working with the Deputy Minister in the creation of the first federal government department outside of Ottawa-the Atlantic Canada Opportunities Agency. Her last assignment, before leaving the Federal Government, was the creation of the National Round Table on the Environment and the Economy (NRTEE) in 1987. As one of the two civil service architects behind its creation, she became one of this country’s foremost experts in multi-stakeholder processes. As one result of her work with the NRTEE, she created and continues to lead the Canadian Consortium for Sustainable Development Research. Dr. Dale is also known for her leadership in the environmental community and her efforts to build greater capacity, especially through the creation of National Environmental Treasure. She was named a research fellow by the Trudeau Foundation in 2004 and a fellow of the World Academy of Art and Science in 2003. In 2008, Carleton’s School of Public Policy and Administration was ranked number one in Canada by Corporate Knights magazine for its curriculum and research in environmental and social sustainability. “We are proud to have alumni like Ann Dale who put its work into practice,” says Dr. Phillips. (Ottawa)–Carleton University’s School of Public Policy and Administration is proud to announce that William V. Baker is this year’s recipient of the Alumni Award for Distinctive Contributions to the Public Sector. This award is named after James (Joe) Bissett who, in 1956, became one of the first students to graduate from Carleton University with a Master of Arts in Public Administration. He went on to a long and distinguished career in public service in both the Canadian and international contexts. Baker began his career with the Saskatchewan government in 1979, progressing to the position of Director, Program Review Group, Treasury Board Division, Saskatchewan Finance. In 1987, he joined Revenue Canada, Taxation, where he held positions of increasing responsibility, including Director General, Policy and Intergovernmental Affairs Directorate, Policy and Legislation Branch and Assistant Deputy Minister, Appeals Branch. In 1999, he moved to the newly created Canada Customs and Revenue Agency, serving as Assistant Commissioner, Compliance Programs Branch. In 2003, he became its first Commissioner of Firearms. In 2006, he returned to the Canada Revenue Agency (CRA), initially as Deputy Commissioner of Revenue. In April 2007, he was appointed Commissioner and Chief Executive Officer of the CRA. He is responsible for maintaining the trust of Canadians in the Agency’s integrity and reliability, identifying and securing new business for the Agency and engaging clients and stakeholders in delivering results by building coalitions. 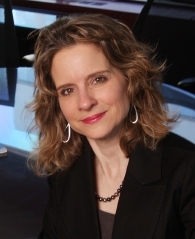 Marguarite Keeley graduated with a Master of Arts from Carleton’s School of Public Policy and Administration in 1980. She has dedicated her professional career, spanning more than 35 years, to public service in the broadest and finest sense. She has demonstrated leadership in both federal and municipal government as well as in the nonprofit sector. She has been a policy innovator and effective manager in ways that have had direct impacts on the lives of Canadians at both the national and community levels. Her breadth of experience includes health policy, primary health care, social services, human rights, First Nations government, and employment and pay equity. In the variety of positions that she held from 1980 to 2000 in the Government of Canada, Ms. Keeley initiated national programs to meet changing policy and legislative requirements. Two of her distinctive contributions were the development of a policy framework for transferring control of community health programs to First Nations and the establishment of systems of compliance for the federal Employment Equity Act. When she took up her position as Executive Director of the Centretown Community Health Centre (CCHC) in 2000, Marguarite continued to contribute to public service through policy analysis and development, but added a new emphasis on public education, collaboration, and advocacy. At the CCHC, Marguarite has applied her considerable skills and energies to concerted, collective and inter-sectoral efforts to address major policy issues affecting the quality of life of our community. Marguarite is a natural and highly effective leader and a remarkable manager. The multi-faceted strategic planning process, which Marguarite oversees on behalf of the Centre, is second to none in terms of scope, strength of evidence base and breadth of community consultation. She was instrumental in garnering support for the Toronto Charter on Strengthening the Social Determinants of Health, and was one of the media spokespersons for the successful and innovative “loonie campaign” which focused on the need to preserve community investment during the 2004 City budget deliberations. She is currently taking a lead role in the development of a pandemic plan, especially in relation to vulnerable populations, that will be linked to Ottawa’s City-wide plan. Marguarite’s dedication, compassion, sense of equity and social justice and many talents consistently shine through her work in her day-to-day management, partnership and collaborative endeavours, policy and research activities, public education and awareness efforts, fostering community capacity building and empowerment, and advocating for public services and a healthy community. She has made and continues to make an outstanding contribution to the public sector, and is exemplary of the more than 2,000 alumni of the School of Public Policy and Administration.